The following is a letter I wrote to the editor of the Cape Charles Wave, an online newspaper in Cape Charles, Virginia, in response to an article "Animal Abuse, Theft Highlight Longtime Problems" by Wayne Creed. I read Wayne Creed's article ("Animal Abuse, Theft Highlight Longtime Problems") with great interest, being aware of the minimal care frequently afforded companion animals by their owners on the Eastern Shore. Friends who moved to Accomack three years ago were so distressed by the harsh treatment of dogs and other animals they observed in many yards that they started providing straw bedding, food and education, even doing repairs in some instances. Their experience was that while some of the pet owners they helped were happy to receive the purchases and labor, it did not appear they would follow up on their own. Last time we talked, my friends said they had to step back from the toll the situation was taking on their own mental health and resources. But it isn't only dogs and cats who suffer from abuse and neglect on the Eastern Shore (and in other parts of Virginia). Chickens and many other animals suffer through every phase of their existence as a result of their status as agricultural animals. Many of those who abuse and neglect their companion animals work in animal agribusiness where a total lack of compassion for animals, even pleasure in watching them suffer, prevails. People who spend their days being violent toward chickens and other farmed animals as part of their job often bring the violent culture of their employment home with them. How many residents know that a Virginia statute titled "Care of Agricultural Animals by Owner" (Section 3.2-6503.1) allows the owners of agricultural animals to deprive their animals of food and water up to the point of starvation and dehydration and exempts the owners from providing bedding or shelter, regardless of the weather, for their animals? In 2011, I worked on a case in Nelson County, where 25,000 hens were left to starve to death by an owner who suffered no penalty for his cruelty. In January 2014, a resident in Campbell County reported that roosters on a local farm were locked separately in wire pens in freezing winds and snow without any bedding, cover, or perches. The head of animal control was sympathetic, even visiting the owner to urge that straw and covering be provided for the birds, but he explained to me in an email that since the animals were chickens, "no laws are being broken." Understandably, those of us who care about animals and are working to protect them can't take on every cruelty situation. As Wayne Creed wrote in his article, "the situation on the ground is overwhelming." But this does not mean we should confine our sympathies only to the animals we think of as household pets. Other animals, particularly chickens on the Eastern Shore, need our compassion and help. 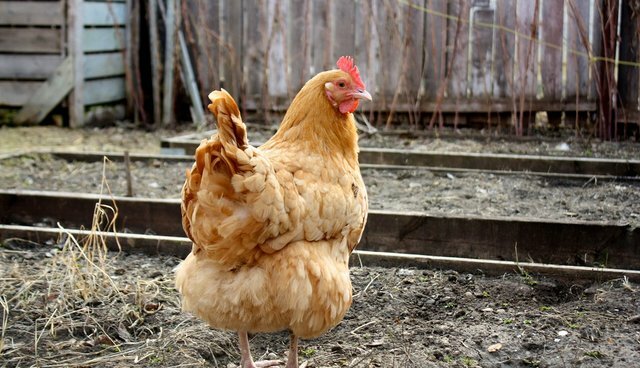 If we see backyard chickens or other farm animals being neglected or mistreated, we should try talking to the person, and if that doesn't work, report the situation to animal control and request an investigation and a record of the investigation including what legal action, if any, was taken. An animal shelter fundraiser should not include chickens or other animals on the menu. The food that is served should be vegetarian. Actions like these and others will help foster the climate of care and respect that all animals need and deserve from those of us who already care about animals and who are working to bring others around to our point of view.